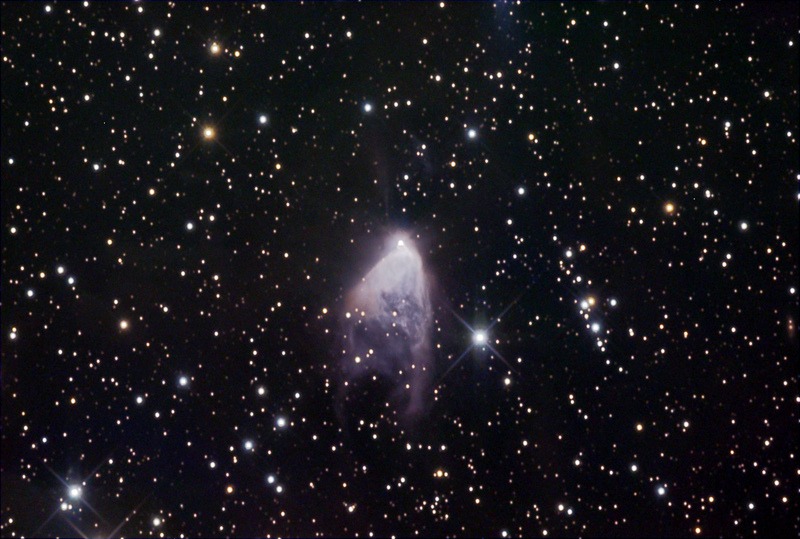 Description With the variable star R Mon (mag 11) at the apex, this curious fan shaped reflection nebula was originally mistaken as being a comet. NGC2261 not only changes its brightness together with the exciting star but also has shown changes in its considerable structural detail over the last century. Hubble's variable nebula is only 2 x 4 arcminutes in size and shines at an estimated distance of just over 3000 light years. Camera SBIG ST-10XE selfguided + CFW-8 with Astronomik Type II filter set.